It is bad enough for an artist to have died at the age of only 32, and for many of their paintings to have disappeared. But for Charles Laval (1862–1894) it is even worse: several of his few surviving works appear to have been misattributed to a friend. Laval was born in Paris, and gained admission to the École des Beaux-Arts there, where he studied under Léon Bonnat, then in the studio of Fernand Cormon. He was successful from an early age, having his first painting exhibited at the Salon in 1880, when he was only eighteen. Like so many other artists, Laval went to work in the artists’ colony at Pont-Aven in Brittany, France, arriving there in the summer of 1886. There he met and made friends with Paul Gauguin, and accompanied him to Panama in April 1887. Gauguin and Laval discovered that their aim of living like savages was hardly practical, so Laval earned their keep painting portraits. By June they had travelled back to Martinique. When Gauguin returned early to France, Laval stayed on, painting in a freer and more energetic style. He returned to Pont-Aven by June 1888. Charles Laval (1862–1894), Landscape on Martinique (1887), oil on canvas, 92.1 × 71.1 cm, Private collection. Wikimedia Commons. 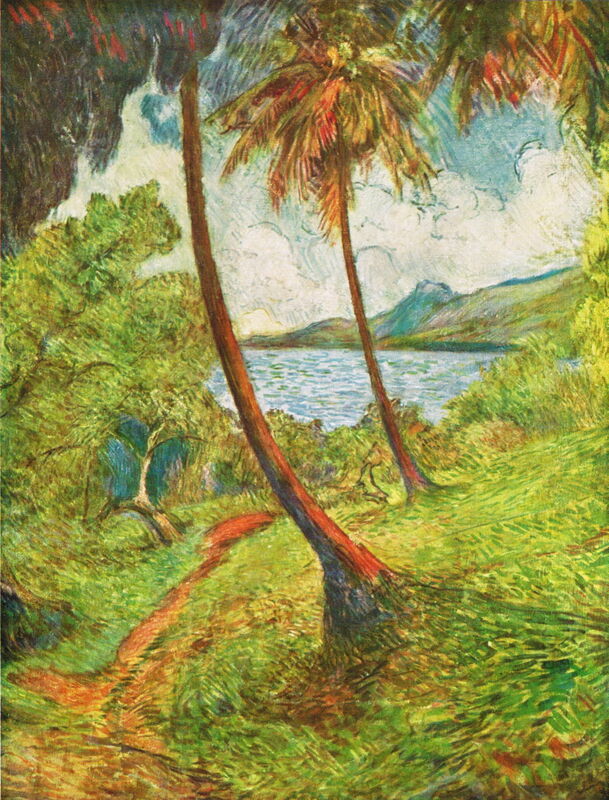 I have been unable to find any usable images of Laval’s paintings prior to his stay in Martinique, and suspect that those shown in the Salons of 1880 and 1883 were considerably more conventional than his Landscape on Martinique of 1887. By this time, his brushstrokes have become very visible, more so than those of Gauguin, and impart texture to the whole painting. Charles Laval (1862–1894), Landscape on Martinique (1887), oil on canvas, dimensions not known, Van Gogh Museum, Amsterdam. Wikimedia Commons. 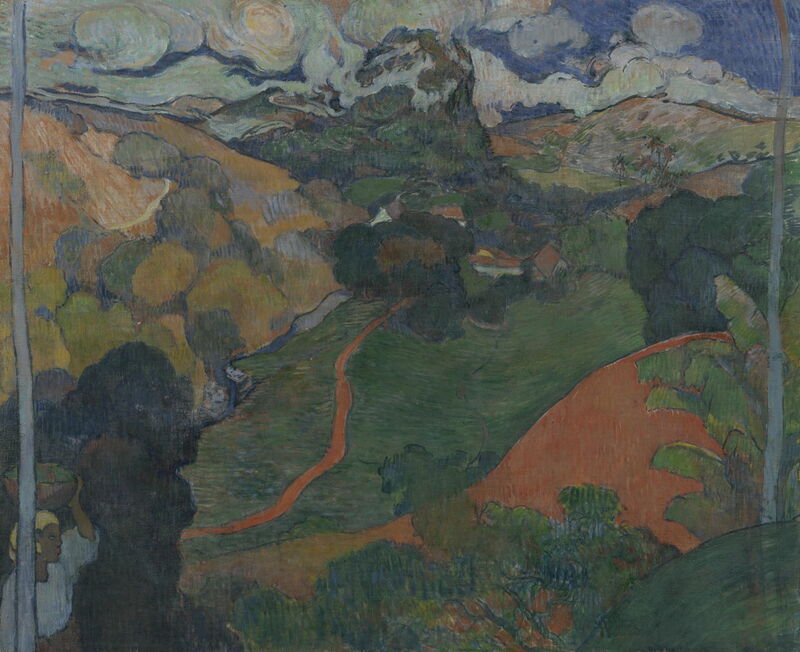 Other works from this time, such as this Landscape on Martinique (1887) now in the Van Gogh Museum, resemble those of Gauguin more closely. This gouache Study of a Tree (c 1887), which is believed to have been painted on Martinique, bears a chalk sketch of Gauguin on the reverse. 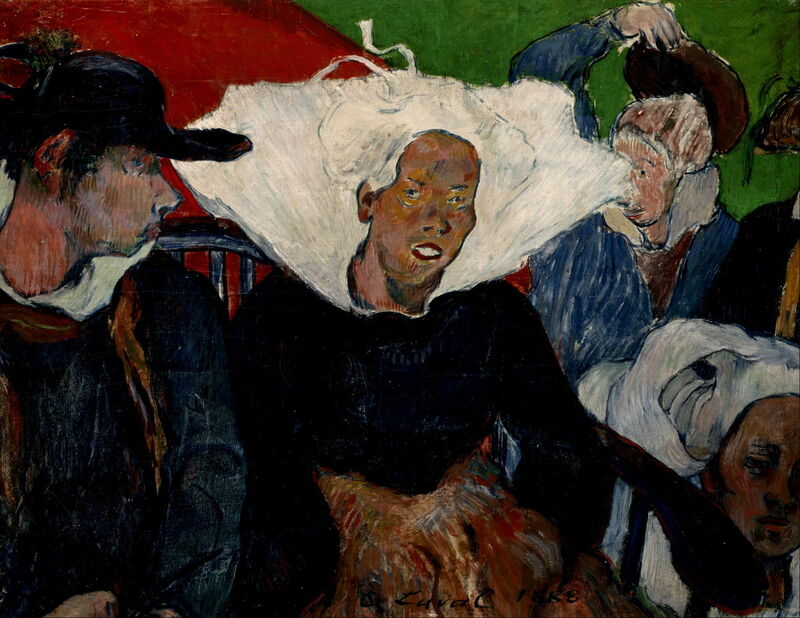 It was originally attributed to Gauguin, but more recently has changed to ‘circle of Gauguin’. If it was painted on Martinique, that can only mean Laval. 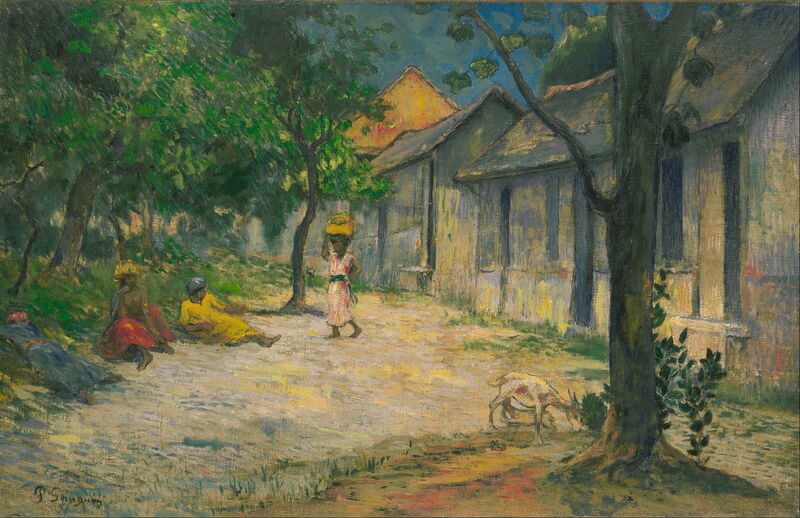 Charles Laval (attr) (1862–1894) (formerly attr Paul Gauguin), Femmes et Chevre dans le village (Village in Martinique, Women and Goat in the Village) (1887), oil on canvas, 45.7 x 71 cm, The Israel Museum מוזיאון ישראל, Jerusalem. Wikimedia Commons. Femmes et Chevre dans le village, usually incorrectly translated as Village in Martinique, but more accurately Women and Goat in the Village, is also dated to 1887, clearly from Martinique, and bears Gauguin’s signature. However, it too has recently been attributed to Laval, which then begs the question of when and how the signature was put on it. With the huge difference in price likely to be realised by a Gauguin rather than a Laval, it is not hard to guess a motive. Charles Laval (1862–1894), Going to Market, Brittany (1888), oil on canvas, dimensions not known, Indianapolis Museum of Art, Indianapolis, IN. Wikimedia Commons. Back in France, he painted and signed Going to Market, Brittany (1888), still bearing his distinctive brushstrokes. 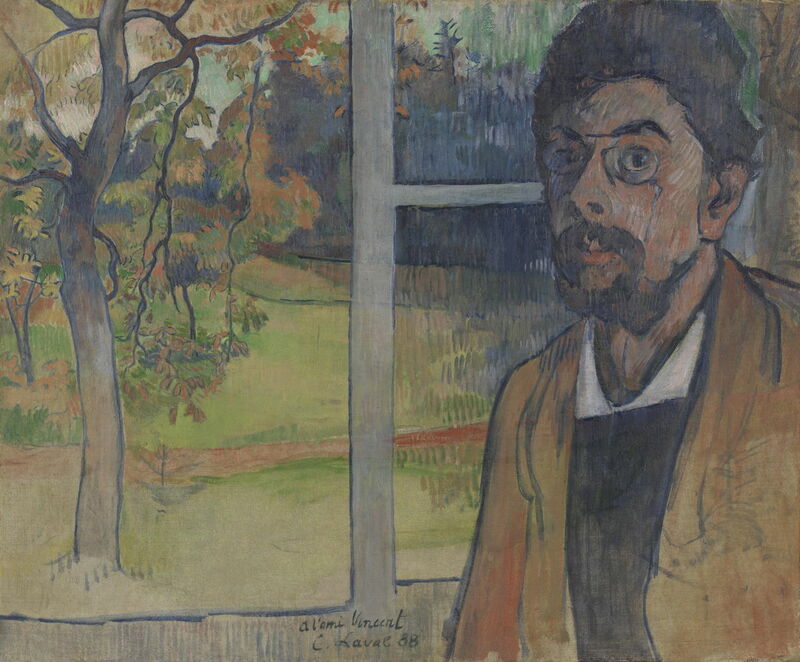 Charles Laval (1862–1894), Self Portrait (1888), oil on canvas, dimensions not known, Van Gogh Museum, Amsterdam. Wikimedia Commons. Laval was also friends with Vincent van Gogh; when Vincent asked several of his friends, including Gauguin, Laval, and Paul Bernard, to send him their portraits, this was Laval’s response, which Vincent treasured and praised to his brother Théo. His last few surviving (and accessible) paintings are those which I think show greatest promise, as he starts to develop a more distinctive style from Gauguin. Harvest in Brittany (c 1889) is not a particularly good image, and I suspect its colours are oversaturated. 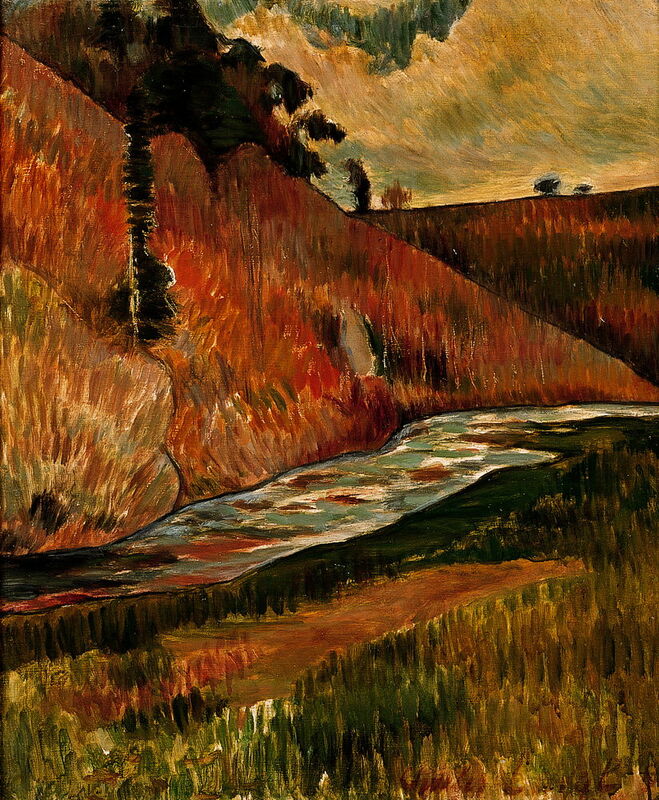 The Aven Stream (1889) appears to be an oil sketch made on paper of the stream which eventually made its way to Pont-Aven. 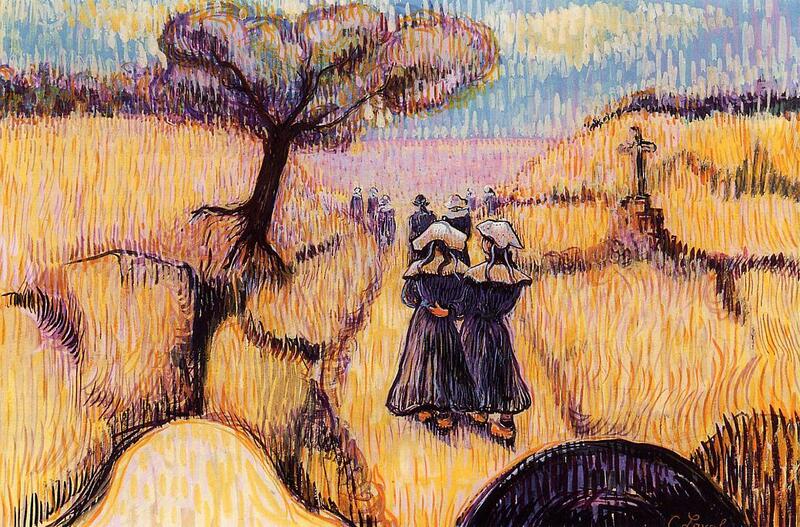 Bretons se promenant (Bretons Walking) (1889), a watercolour, uses a Divisionist-like effect, but with short vertical strokes instead of dots or horizontal tiles. 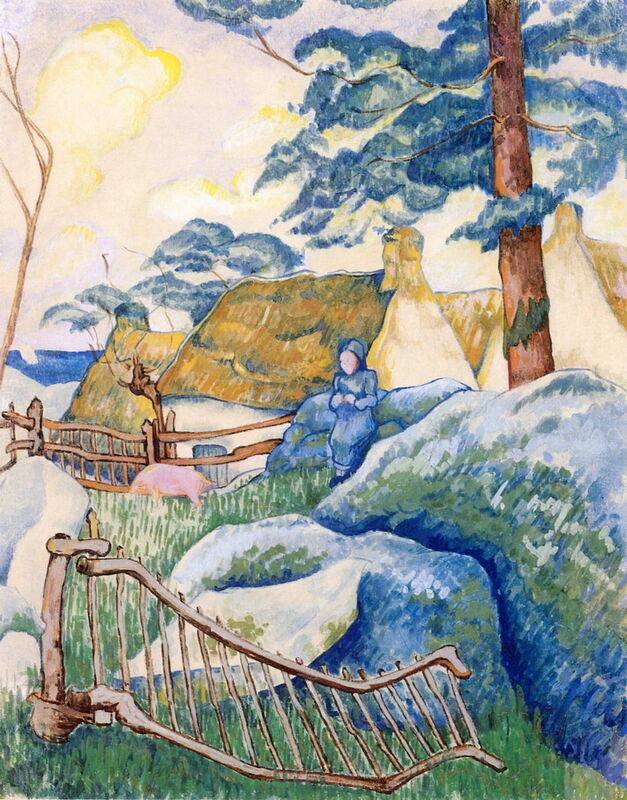 Charles Laval (1862–1894), The Fence (c 1889), gouache and watercolor on paper on board, 58 x 46 cm, Private collection. The Athenaeum. 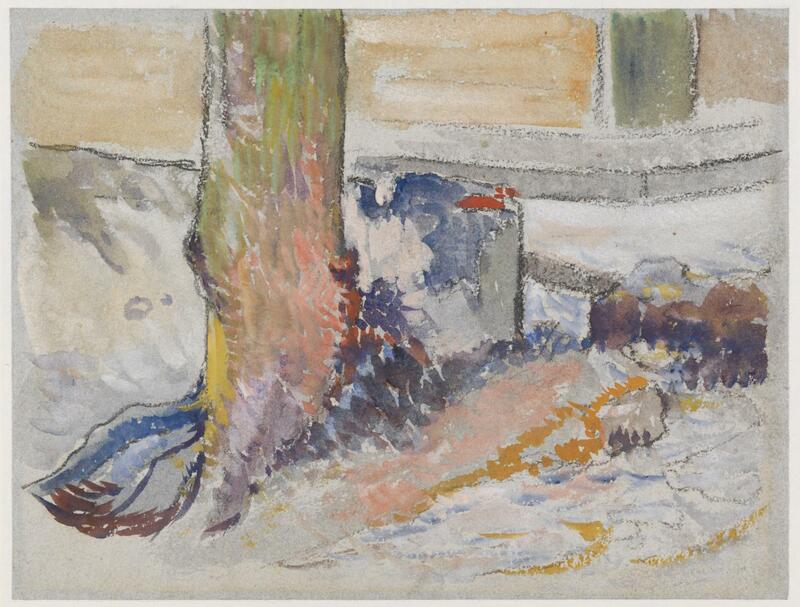 The Fence (c 1889) is another watercolor with more conventional facture, and a very different effect. 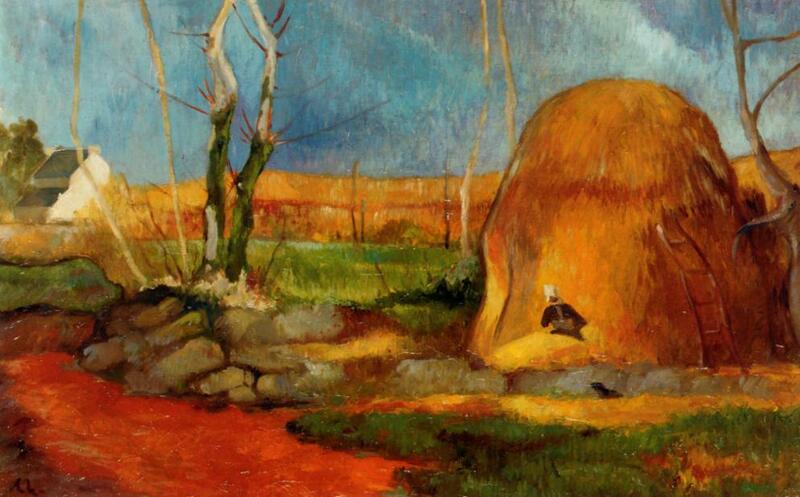 In 1889, Laval quarrelled with Gauguin over Bernard’s sister, an upset which almost stopped him from painting. After that his health declined quite rapidly, and in the spring of 1894, just after his 32nd birthday, he died from an illness complicated by his tuberculosis. Since his death, most of his paintings seem to have been lost, and several of those which have survived have been attributed to Paul Gauguin, perhaps in the hope of inflating their value. He, and his work, are well on the way to being completely forgotten – an artist in danger, indeed. Posted in General, Painting and tagged brushstrokes, Cézanne, Gauguin, Laval, painting, Post-impressionism. Bookmark the permalink. Very similar case to van Gogh- Gauguin. Possibly sinister, in account of the mis- credited paintings. The identicle Laval- Gauguin style is hard to differentiate, it would be interesting to have references here as to the originators of these theories of this intetesting blog. Thank you. The Wikipedia article has links, and the painting in the Tate has a link to the Tate’s page about that work, which discusses the issue of attribution in some detail.